In Rainbite’s Reverie, we follow our protagonist, Tai, who is on a boat to the island of Toromi for a summer holiday. While staying with his grandparents in the town of Harikoa, he learns that the gods of Maori legend have been angered and are fighting, throwing off balance on the island. With the people of Toromi Island in peril, it’s up to Tai to stop the gods from causing total cataclysm. Now, that makes the game sound a lot more serious than it actually is. 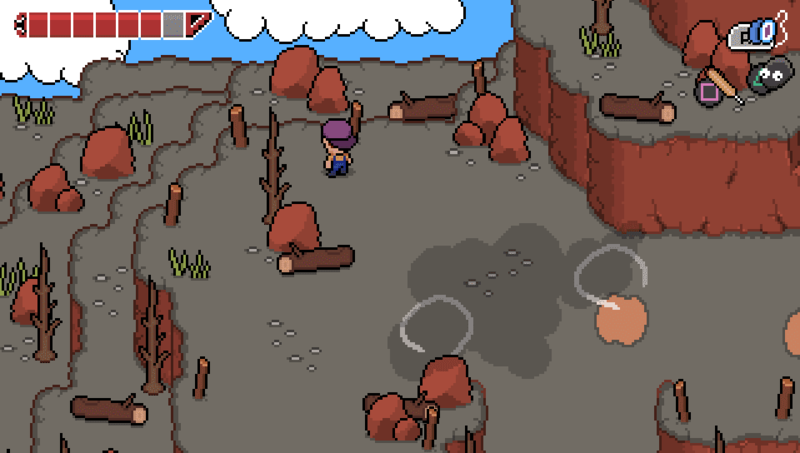 The pixelated art style leans heavily on an aesthetic similar to Earthbound, being set in a modern rural town and its surrounding areas. The atmosphere is light-hearted in the same vain, with Toromi Island being filled with quirky and fun characters. 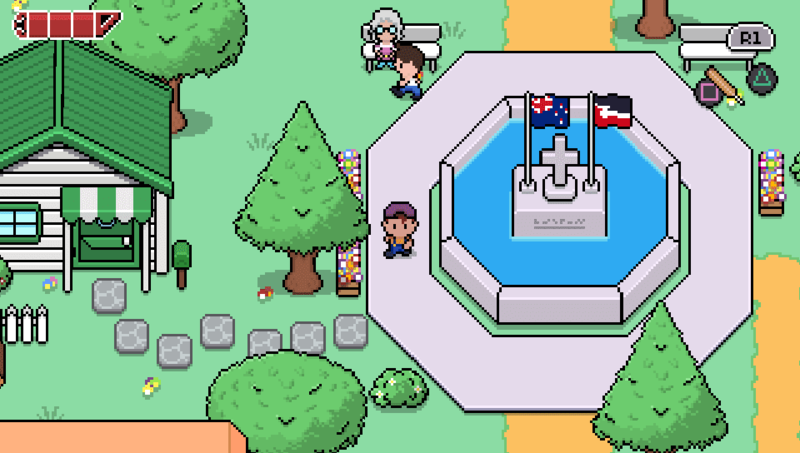 Reverie never lets you forget its New Zealand (where Rainbite is based), with a New Zealand flag at the center of Harikoa, talking Kiwi birds and exploding kiwi fruit. You even collect the feathers of New Zealand’s indigenous birds. Harikoa’s town center. The Harikoa theme is still stuck in my head! 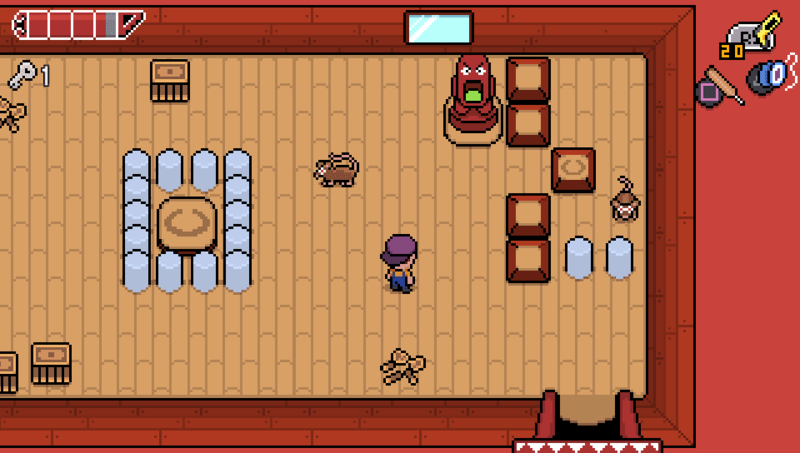 Gameplay-wise, Reverie is heavily inspired by 2D Zelda games. Armed with your cricket bat, you’ll be whacking your way through a wide-array of enemies: A giant washing machine, hornets, weasels and lava warriors just to name a few. As your journey progresses, you’ll pick up new items to help you take on these creatures and solve puzzles, my favorite item being your googly-eyed pet rock named Stephen (I love you, Stephen). A majority of your inventory items are found in dungeons. The dungeons could have easily been pulled out of A Link to the Past. Change out the enemies, replace Tai with Link, and there would be next to no discernible difference. This isn’t a bad thing, however, as Rainbite uses this as a playground to try new mechanics. For instance, Stephen can be used to solve pressure-plate puzzles, but if you give him a whack with your bat, he’ll go pinball-ing around the room, damaging any enemies in his way. Your yo-yo can be used to hit levers blocked by barricades, but can also be used to temporarily stun enemies. Each dungeon has its own visual theme, along with unique enemies. There are five main dungeons in the game, each harder than the last, but the game is never frustratingly difficult (that is, until the bonus dungeon). Reverie is relatively forgiving, too. If you lose all of your health, you simply spawn in the first room of the dungeon. Once you reach the door to a dungeon’s boss you open up a warp pad to the first room, making it easy to trek back to the boss should you die. On top of that, the game autosaves almost constantly, with the save icon popping up on nearly every screen. When it comes to music, Rainbite knocked it out of the park. The music is made up of a tasteful mix of chiptunes and synths with grooving bass guitar in the background. I found myself humming the overworld music long after I’d put the game down. Each part of the overworld and dungeons has its own composition, building a fitting atmosphere for their respective areas. I’m even listening to it as I write this review. During my time with Reverie, I ran into a few technical issues. Load times seemed to run long for a game like this, and there was one instance when the game crashed during a loading screen. I also experienced some stuttering when moving between screens. The overworld music also doesn’t loop smoothly, but it’s hard to tell if this was intentional. It may be worth noting that I was playing the PS Vita version, yet even the Vita’s hardware should be able to handle a game like this with ease. The pixel-art in this game is stunning, while still maintaining a feel like something out of a children’s book. Collin reviewed Reverie using a personally purchased copy.